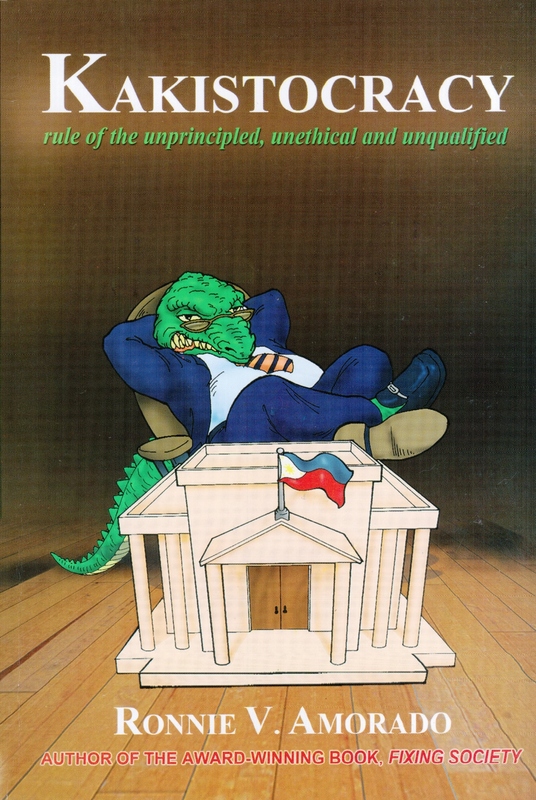 “Kakistocratic behavior explains the world’s woes in government corruption, citizens’ misconduct, corporate scandals, misdemeanour in the Church, anomalies in civil society, spousal indiscretion and infidelity, the desecration of rule of law, and even the persistence of illegitimate authoritarian states and despotic rulers. If corruption is betrayal of public trust, it is kakistocracy that breeds acts of betrayal. Kakistocracy is thus the cultivation of corruption in society”. The Philippines is perceived as one of the most corrupt countries in the world. The Corruption Perception Indexes (CPIs) of the Berlin-based Transparency International revealed the country’s corruption perception levels at the bottom rung since the 1990s. Unresolved national scandals beset various government administrations since the Martial Law period, thereby validating – and shaping as well – the widespread negative public perceptions. But the country is not lagging behind in designing reforms to reduce corruption. In fact, the World Bank and other countries have recognized its world-class anticorruption initiatives in the public sector as well as in the various private sector and civil society organizations. Even the business groups, academe, the Church and broad-based citizens’ movements have joined the government’s efforts – either in collaboration or antagonism – in combating corruption in all fronts. However, as reform initiatives grow in sophistication, corruption likewise rears and gears into more insidious cleverness, thereby intensifying its gnawing influence in Philippine society. Thus the country perpetually staggers, like a big turtle with its small head of reforms wanting to forge ahead but is held back by the heavy shell of corruption. Corruption is betrayal of public trust, and kakistocracy is the raging torrent gushing acts of betrayal. Thus, kakistocratic behavior makes corruption intractable and betrayal as an effective tool of the trade. Corruption persists because of the hegemony of kakistocratic leaders in all types of organizations in the Philippines. High-level corruption and stories of grand malfeasance manifest in the many unresolved national scandals that rock the Philippine government. The stories of those involved - either as perpetrators or victims - are all told and written in media. But almost all of these stories only end up in dragging perfunctory investigations or being used for political commodity. They unfortunately fail to elevate into serious intellectual discourse that allow for theoretical abstraction and meaningful insights for reform. This book digs deeper into the untold corruption stories from a lens of a betrayal theory for theoretical abstraction, as well as generate meaningful insights for anticorruption initiatives through a citizenship-based country strategy for the Philippines. For emancipation, a concept of citizenship as a countervailing power is juxtaposed to challenge corruption and betrayal. Carrying on Ronnie Amorado’s framework of the dark side of social capital and perverse networks in corruption (Fixing Society, 2007), a betrayal theory will look at the various stakes and roles of actors, notions and elements of betrayal, techniques and modus operandi, as well as the pains and struggles of the betrayed through careful case documentation and analysis of their lived experiences. As the research bleeds for the stories of the betrayed, it aims to seek justice by immortalizing their betrayal experiences for others to learn. Betrayal is a universal hurtful transgression that undermines people’s integrity and society’s probity. Betrayal is the antithesis of decency.